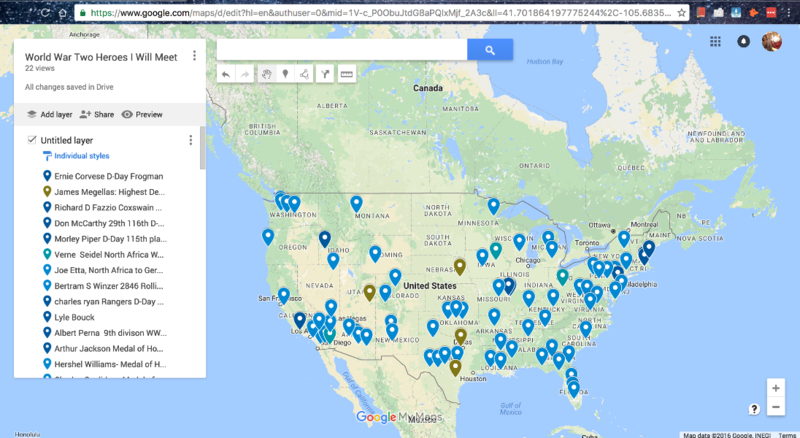 Please let me know if you know any WWII combat veterans or if you would like to join the organization in order to make a national movement to honor and learn from these heroes before they die. These men are my biggest heroes and my closest friends. I want the veterans to know how grateful we all are for the immense sacrifices that they had to make. I am committed to getting a better understanding of the hell that they had to go through in order for me and so many others to have a chance at life today. My goal is to be an outlet for the veterans in order for them to express their recollections and thoughts of their war days in a censor free environment. I am the same age these men were when they were in combat. I do copious amounts of research before each interview, and I am not related to these men in any way so there is no emotional attachment allowing these heroes to talk to me candidly about the war. The interviews are filmed, and I make DVD copies of the interview for the veterans and their families! Please reach out if anyone has any connections with Airlines/Rental Car Companies or Tom Hanks/ Steven Spielberg! 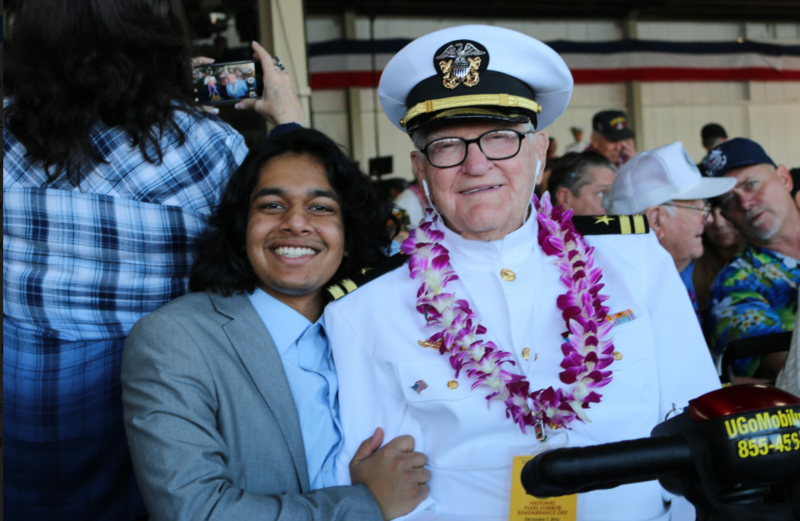 This is the Pearl Harbor hero Jim Downing who is 103. I recently had the honor of interviewing him! Hello! Thank you all so much for your support! 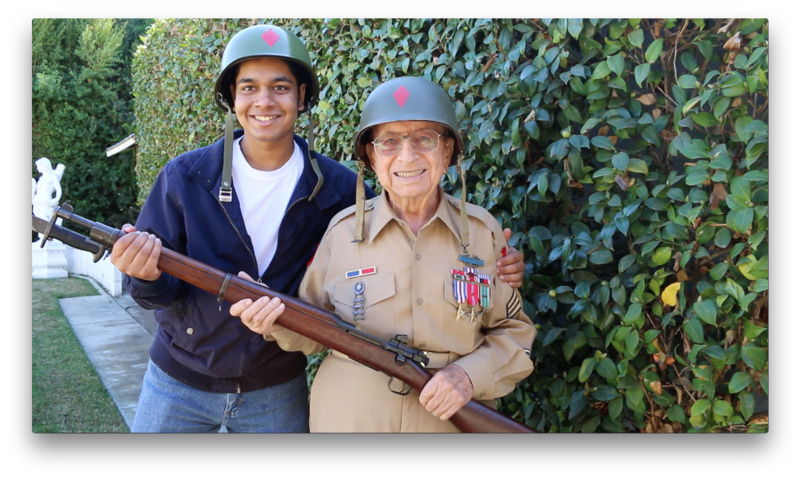 It means so much to mean that you all care enough about these WWII heroes in order to help me document them, This is just the beginning. Together we all will make a national movement in which these WWII heroes are properly recognized and thanked. Thank you and please go make friends with a WWII hero before it is too late, Cherish every second with them. You need to go to the Navajo Nation and visit the Code Talkers. Without these men the war would have been lost. Have you considered interviewing the veterans of the 442nd Regimental Combat Team/100th Infantry Battalion? As an Asian-American I would love to hear the stories of the Japanese-American heroes who fought for their country in a time when their families were being held in internment camps and called aliens. Most of these veterans can probably be found in Hawaii today. I know someone whose relatives served with the unit, it would be a great honor if you could tell their stories. You are an AMAZING selfless young man to be willing to dedicate your life for a season to this cause. It brings tears to my eyes that some of these vets have no one and yet you are now their someone in their last days. That is an incredible blessing and what an honor to hear about you and the difference you are making in their lives and future generations!! God Bless you for what you are doing!! This is so refreshing and uplifting to know we still have hope in our younger generation. This has truly made my day!! 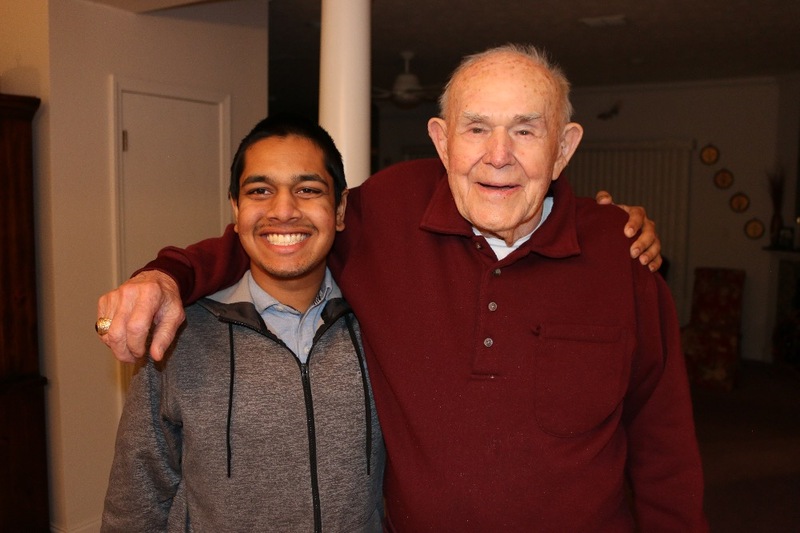 Rishi - My father is also one of our Great Americans, a WWII Navy veteran, now age 91 and as sharp as ever. I would love for you to visit us here in Novi, Michigan! Please do contact me via fb. Rishi. My father served in WWII European Front. He will be 91 in January, 2017. He lives in Albertville Alabama and loves to share his experiences with young people who will sit and listen. He has a collections of medals, including a Purple Heart and Bronze Star. If you travel that direction let me know and I'll give you contact information. BTW - I think what you are doing to honor these people is so very admirable. Daddy enjoys talking to young people who want to learn what war in Europe was like in the 1940's. This is Charles Pope in St. Albans, West Virginia. Just saw your story. You are to be commended. My father, 1st Lt. Hughlan W. Pope, was part o f Signal Security Detachment "D," which was part of the 12th Army Group under General Bradley. They were an intelligence gathering outfit. But their work was classified, and none of the 130+ men who served in SSD"D" were allowed to speak of their experience or use any of their experience on a resume. Everything was declassified in 1983. But by then many of the men had died. I am writing an account about my Dad and SSD"D." On Facebook go to Signal Security Detachment "D" for background. Thanks for your work. I have a 91 years old 2nd cousin who was blown to bits and left on the battle field for 3 days before being found. He didn't die because it was so cold he froze. He did lose one leg and half of another but he is still here today in Steubenville Oh. Hi Rishi. My grandfather was in WWII and worked with German codes. He is very secretive over most of it but he will talk about the war in general. He was in the CIA after the war. My Pop is famous for his love story, though. He met my grandmother at a dance for local girls and GI's. They were married in London in 1945. They just celebrated their 71 wedding anniversary. They wrote a book about their love story (and were on the news show 20/20 back in the early 90's) and the hundreds of other beautiful war brides. It's amazing how much love can come from war. Message me if you can. Congrats Rishi! More power to you...this is wonderful! My dad is a WWII vet but not combat. Have you checked out the "Honor Flight" Program? It flies these Vets to Washington DC to visit the monuments in their honor. Many of them would not have been able to make the trip if not for this program. You should take a flight with them...you could interview a whole plane full of Vets. Keep up the good work and bless you for it! Reach me through FB if you want more details. 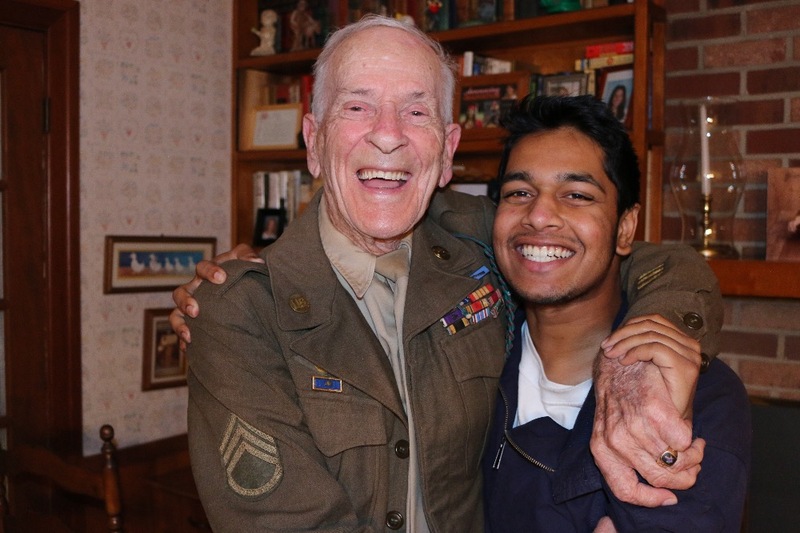 I know a WWII Veteran in Minnesota that should be included in your campaign. Please contact me via facebook (https://www.facebook.com/megan.kathryn.908) and I will share with you his contact information. Thank you for following through with this amazing project! Keep up the great work! 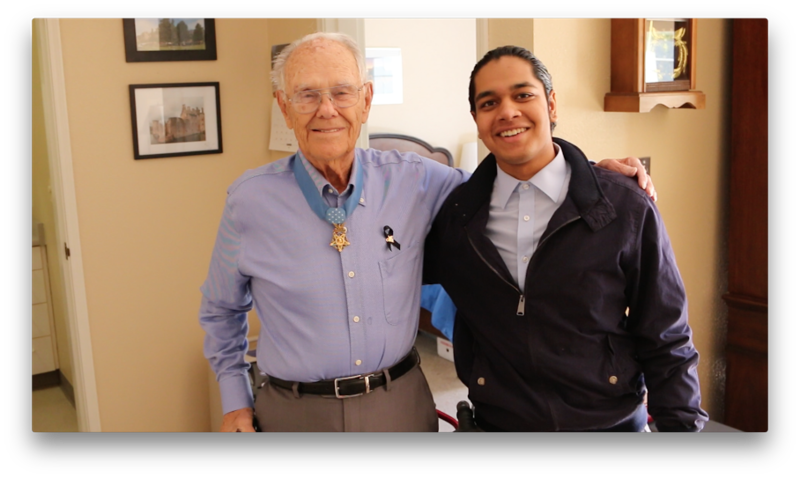 You are such an inspiration Rishi, and I applaud you for this service to our Vets. My brother was a Marine vet of Vietnam, and I am so sorry we lost him in 2014 w/o getting his story. Thank you for giving of your time and knowledge in recording this very important part of their lives. My father was a radio operator on a B-17. He flew 34 missions before being shot down over Czechoslovakia. He spent 8 months as a prisoner of war in Germany. He goes to high schools speaking to students about the war and his experiences. 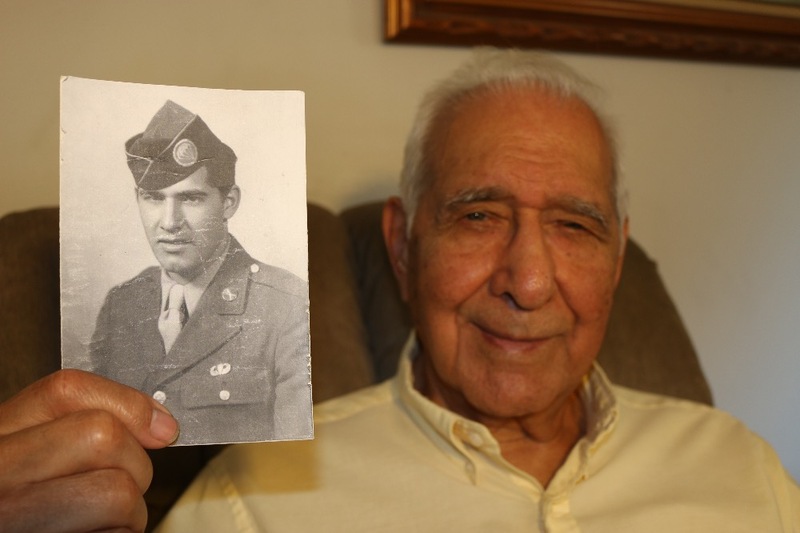 He has recently been interviewed by the WWll museum in New Orleans. He would love for you to interview him. The WWll museum in New Orleans is excellent, and is also interviewing veterans. Please, all of you who know someone who is a vet, take a video of them recalling some of their memories and contact huge museum. My dad served with the 42ed Squadron in the Army Air Corps and flew the hump to bomb enemy troops in a China. Wish he were still alive to share his stories! Young man: I wish u the best for the work ur doing and enjoying. U must b aware of CBI , China Burma India , Ww two, American GIs, vets etc? . I like to talk or em u. If u can give me your contact info. Thnks. Once again best wishes. 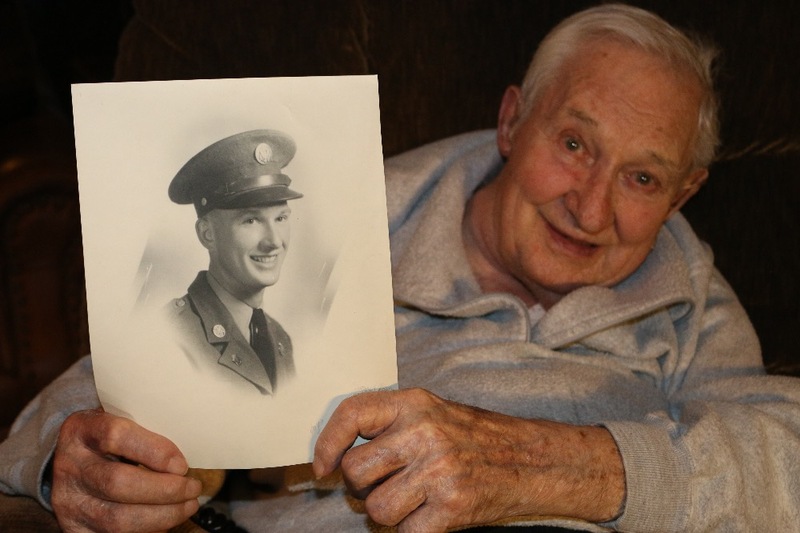 I know of one more extraordinary story of a 98 year old WW II veteran. 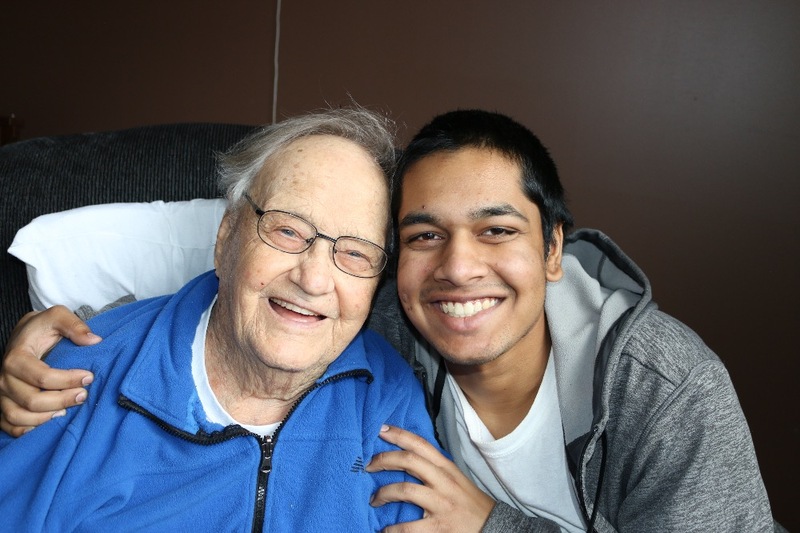 He was in the air force; shot down on his first mission; caught by local Germans, turned in, and put in concentration camp where he stayed for over a year. He is in very good health and has a clear and reflective mind. He was recently honored by FL Gov Scott. At a service for Memorial Day held at the large senior citizen community where he lives, it was his story, particularly his POW story, that was the highlight of the service. 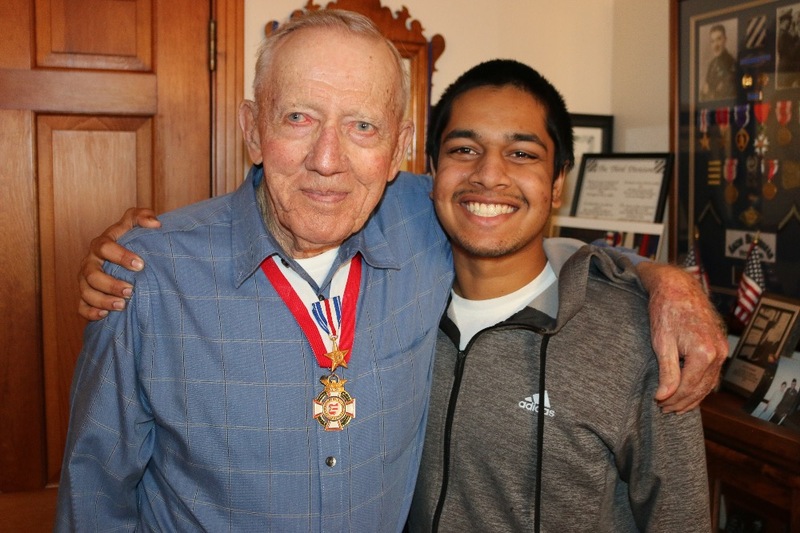 Last year he was selected for the Honor Flight to Washington, D.C. -- When he came back, he couldn't talk about the experience because he was too choked up with emotion. But, when he was ready, his description of the trip was wonderful to hear. He talked of it as the best trip of his life. 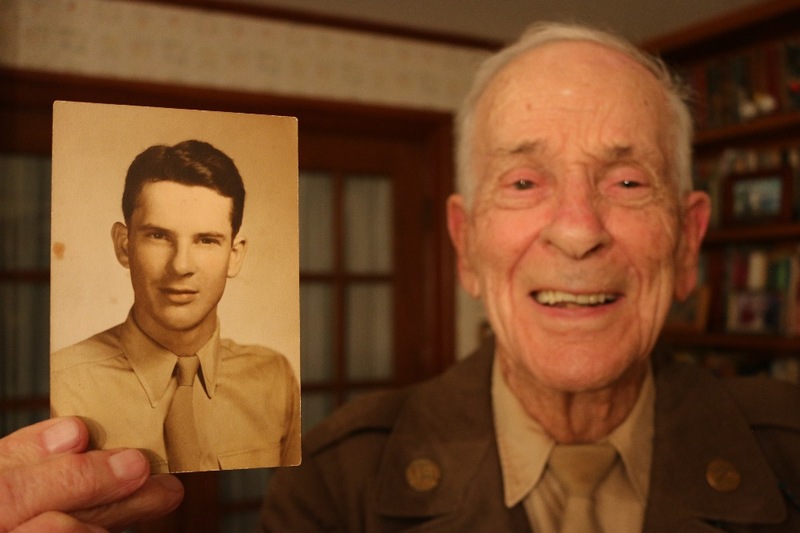 He is one of the treasure troves that I think you would want to add to you list of people of the Greatest Generation that served in World War II. He is well-spoken, with a good many memories to share. His name is Richard Kappel. He lives in Leesburg, FL. I think he would be amenable to an interview by you, if you can possibly carve out time for his story. He is a very private person in many ways, and in order to arrange a visit with him, it would be best to have me present the idea to him rather than call him directly. My name is Deborah Austin. I am the daughter of the 93 year old woman whom he has called his partner for about 12 years. He lives just a few houses down the street from her. He is devoted to her and is a very big help with caring for her with respect to her Alzheimer's disease. He is a soft-spoken, understated, remarkable man. My phone number is 760-822-5880. Locate as many as you can... Good luck!!! 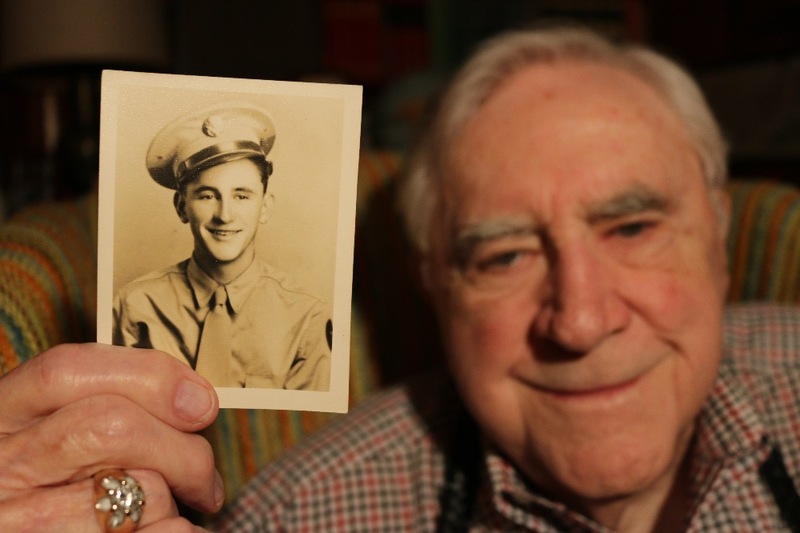 My father is a WWII veteran and I think this is a great thing that you are doing! My father, three uncles, and a great-uncle were WW2 vets. Listened to your interview on Glenn Beck. Barely got through listening to Mr. Florentine’s story. Tears started and I just had to stop everything and donate. Thank you so much for doing this! These stories need to be heard! My heart goes out to veterans and what they endured.